Juniper Networks, an industry leader in automated, scalable and secure networks, today announced it has expanded its 18-year partnership with Ericsson, a global leader in mobile networks, to deliver a comprehensive end-to-end 5G solution leveraging each company’s complementary portfolios. Together, the companies are now offering service providers a complete 5G transport network solution with single pane of glass visibility to manage the new requirements of next-generation mobile service delivery. This deepened partnership aims to offer service providers a complete solution from radio to core for new-service delivery while managing mounting complexity. 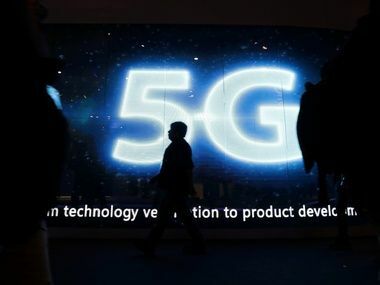 5G is expected to be a game changer for the next generation of business and consumer services, but the increase in connectivity, network traffic and customer expectations will likely create new challenges for managing the mobile transport network in a cost-effective way. Evolving 5G use cases, including connected cars, AR/VR and 8K video streaming, and the associated 5G radio requirements needed to support these diverse applications can place additional demands across the network. Capacity, connectivity, latency, synchronization, reliability and security needs will all require tighter integration between the 5G radio, core and transport layers of an end-to-end mobile network. To alleviate these challenges, Juniper’s expanded partnership with Ericsson greatly simplifies service providers’ 5G transformation by creating a tightly integrated solution that combines Juniper’s routing for next generation WAN services and IP transport, and Ericsson’s Router 6000 and MINI-LINK microwave portfolio for distributed, centralized and virtualized radio access. In addition, the solution leverages Juniper’s Unified Cybersecurity Platform to secure the entire 5G mobile infrastructure against ever-expanding and sophisticated threats. This comprehensive solution provides seamless connectivity from the radio cell site to the mobile core all unified under Ericsson’s management and orchestration solution, improving the performance, quality and ease-of-use of the entire 5G solution. The joint end-to-end 5G transport solution will be designed and built from day one with the intent of supporting exceptional 5G radio performance in a cost-effective way. As part of this deepened partnership, Juniper will utilize Ericsson’s go-to-market for mobile opportunities and Ericsson will include Juniper’s solutions for edge, core and security as part of its end-to-end 5G transport portfolio.